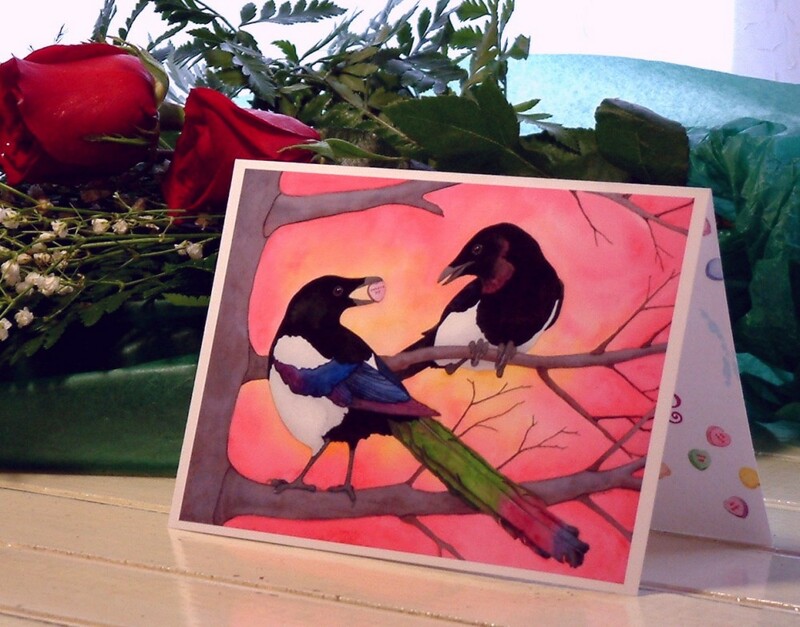 This year we are offering a Valentine’s day card from my original watercolor painting, ‘Sweetie Pies’. This card was inspired by Mark. 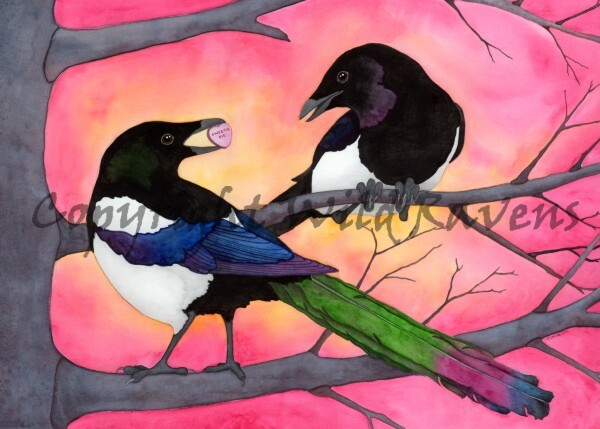 He always calls me sweetie pie, and I love magpies, so I thought it would be fun to have one magpie giving the other a candy heart with the words “sweetie pie’ on it. I also wanted to do some intense coloring as well. It was very fun and different from my usual strong realistic style. I hope you enjoy the image and my experiments with other techniques. 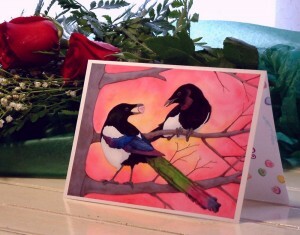 This entry was posted in Art and tagged greeting cards, painting, watercolor. Bookmark the permalink.